Kids aged 5 and up. Cost: $30 per child. Adult must stay with participating child. 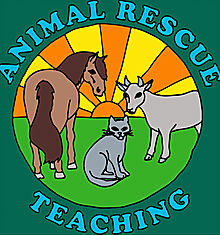 Join us and help support our friends Animal Rescue Teaching while you learn about horses and experience a riding lesson. We’ll dress as pioneers and learn about how valuable horses were to pioneers and early settlers, then saddle up for a wonderful riding lesson! 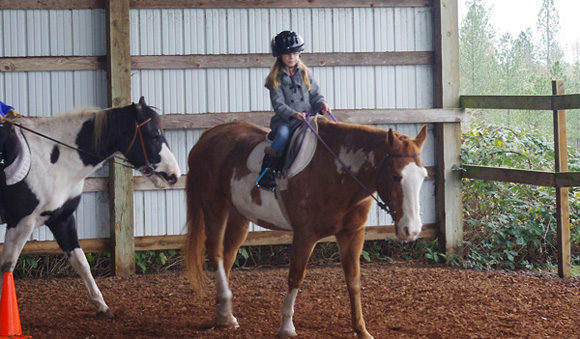 Trained and patient instructors will help you learn about holding the reins, giving commands to your horse, and horsemanship. The horse riding area is a covered arena. Then we create some horse themed art and take home some fun horse fact sheets. We will make our own little horses out of colored salt dough and play Pin-the-Tail-on-the-Horse. This is a great opportunity for some sweet photos- so bring your camera and dress in your pioneer best. YOU MUST PRE-REGISTER AND PRE-PAY for this event. If you click Submit on the form and do not pay, you will not be registered. All fees are pay in advance. If we cancel the event, you will receive a refund. If you need to cancel, up to 48 hours before the event you can receive a refund. Otherwise it is transferable to someone else, with notification to us.